when food is scare for them up north. as we tipped our hat to them. I loved your redpoll closeups. I learn something new every time. I did not know males sometimes sport ragged looking vests that range from rose to red. S.L. Bernie, I have had hordes of redcaps. I love the way they hang in with each other, only an occasional spat. Refil the nyjer seed feeder every day. I don't care if a bear comes, certainly lots of squirrels are still hanging out. J.A. 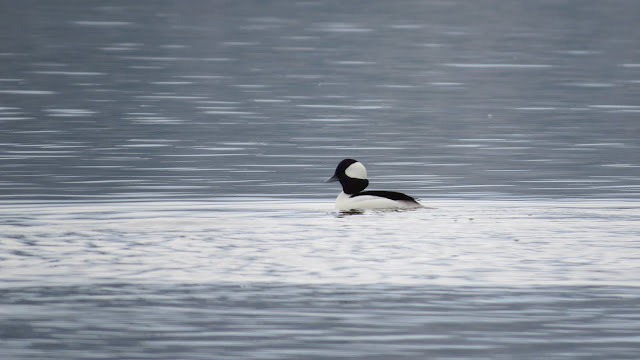 Spring migration is underway. Under the Champlain Bridge and Dead Creek Wildlife Management Area are great places to experience it! 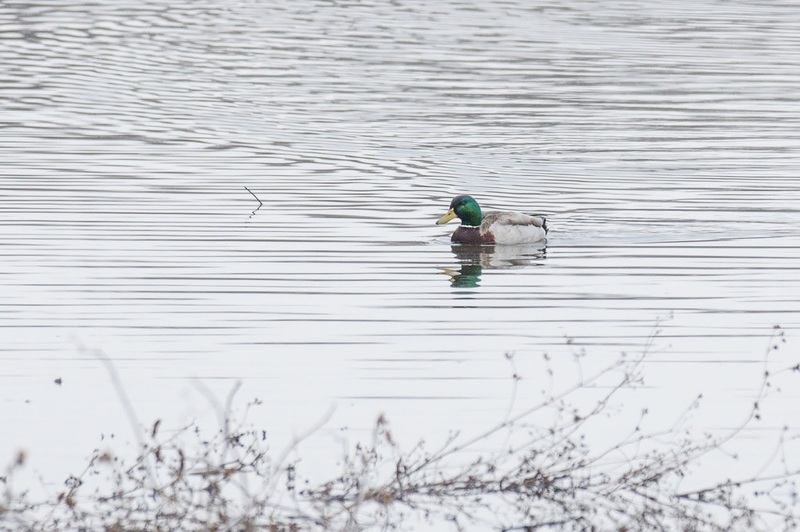 The Green Mountain Club is known as a hiking organization, but GMC also hosts kayaking outings, bike rides, and nature walks. 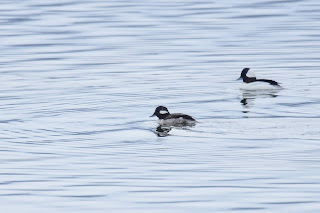 The Burlington Section of the GMC hosted a Spring Migration Birding Walk on 3/30/19. All week long, the weather forecast had been for rain, rain and more rain. But finally, on the day before the planned trip, the predictions changed! It was chilly but definitely bearable, and the infamous Addison County winds didn't crank up until afternoon. 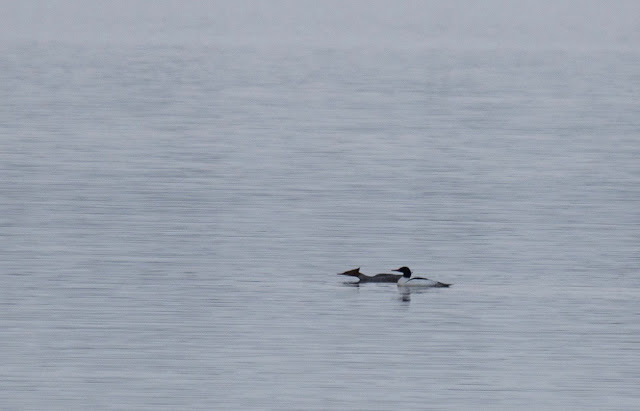 Open water under the bridge to New York State was lively with water birds: Common Mergansers, Mallards, American Black Ducks, Buffleheads, Common Goldeneye, Lesser Scaup, Ring-necked Ducks, Pied-billed Grebes, Canada Geese, and Double-crested Cormorants. 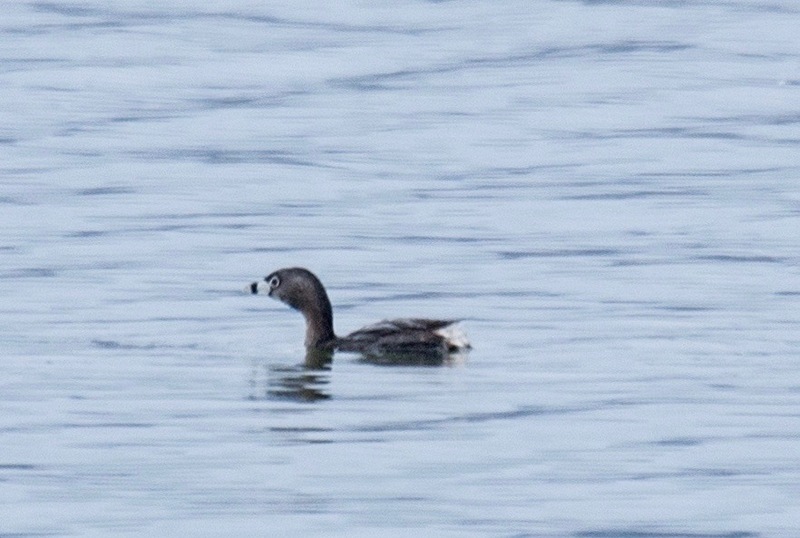 Fellow birder Clem Nilan pointed out a pair of Pied-billed Grebes close to shore. 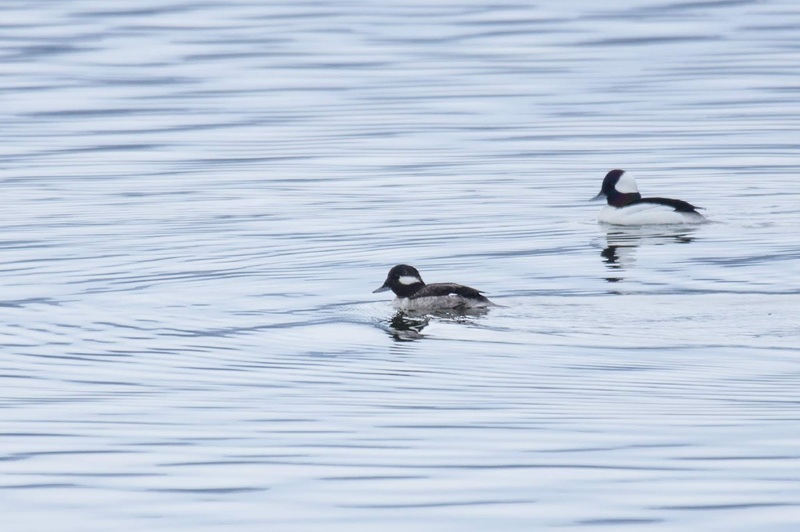 These little cuties look like chubby tailless diving ducks but they're actually in their own taxonomic order. 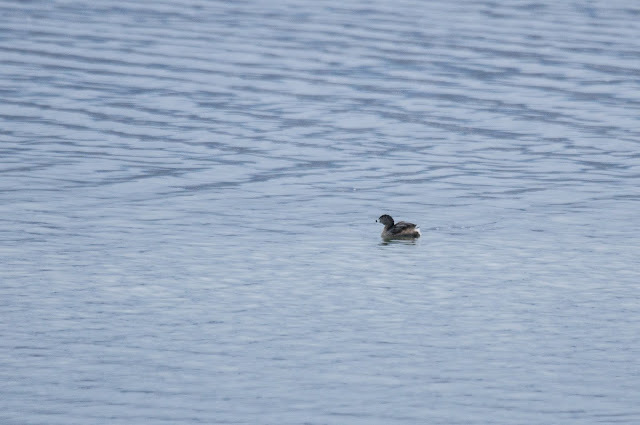 Grebes are different from all other waterfowl in that they don't have webbed feet. 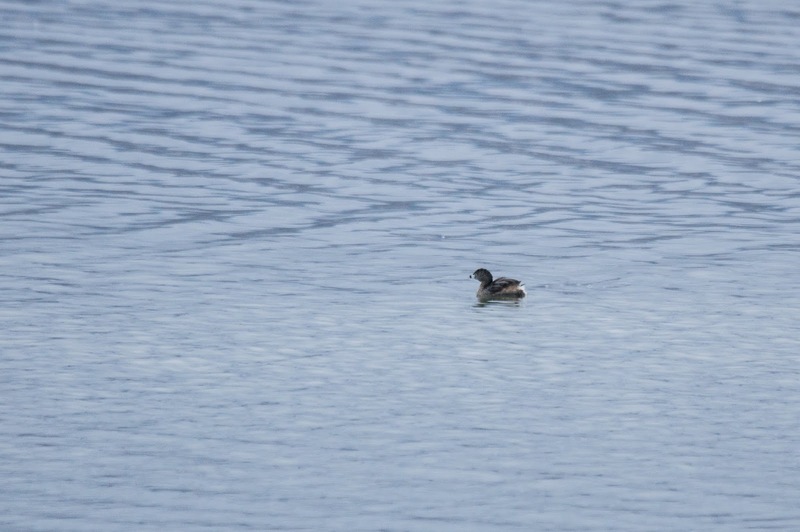 Instead, they have little lobes or knobs on the toes to give them more "push" when they're swimming. 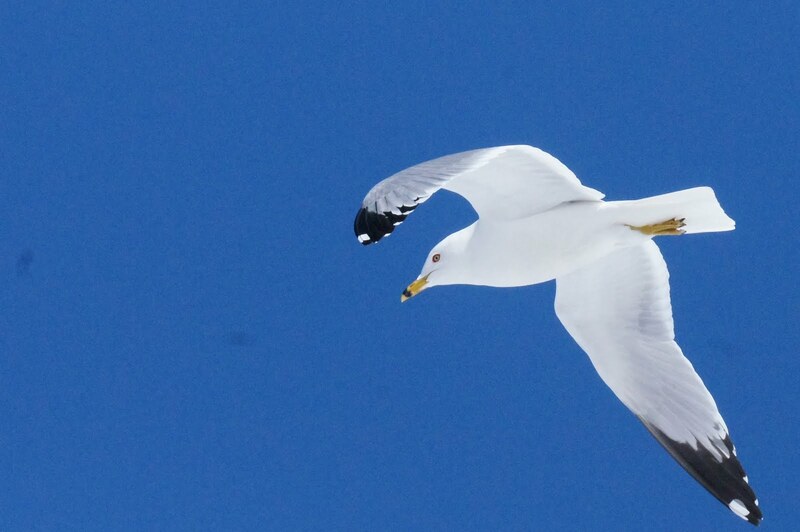 Two species of gulls wheeled and called overhead (Ring-billed and Herring) and a few Great Black-backed Gulls sat majestically on the edge of the ice. Almost none of the birds we saw were in Vermont just a few weeks ago. They were lolling about in warmer areas: the DelMarVa peninsula, the Carolinas, Florida, Texas, and the Caribbean. But spring isn't just about migration! It's also the time for courtship. Common Goldeneye drakes tossed their heads back and made sharp squawking noises. Many of the Buffleheads were swimming in male-female pairs, with an occasional "love triangle". Common Merganser females often swam close to males, flattening themselves on the water's surface and raising their crests so that their heads were neat triangles. An Osprey and a Bald Eagle were icing on the cake! After enjoying the show at Chimney Point (under the bridge), we went to the Brilyea Access of Dead Creek Wildlife Management Area for a walk. 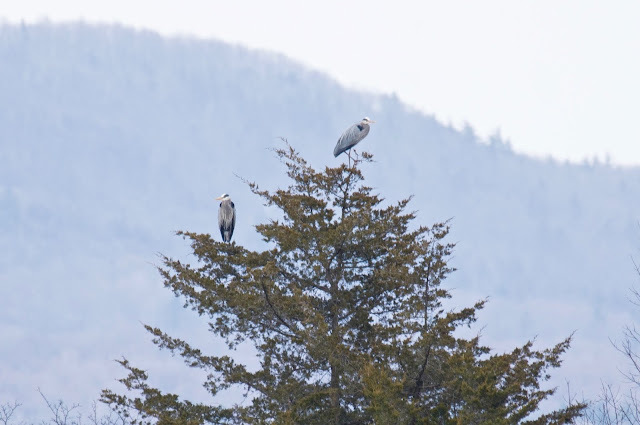 One highlight at Dead Creek was the unusual sight of two Great Blue Herons at the top of a tree. The top bird calmly balanced on a twig that looked much too small to support it! 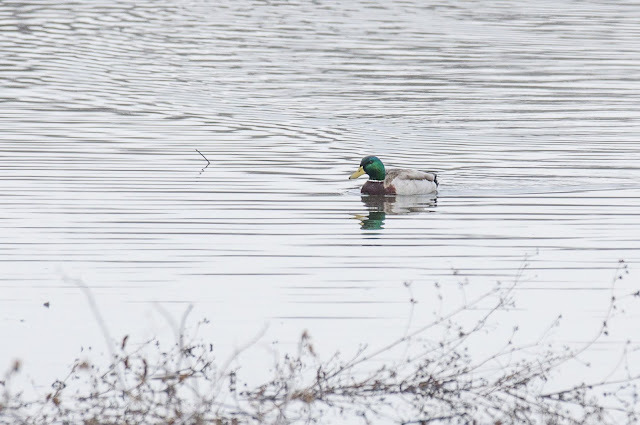 Other treats were a pair of American Wigeons, a Northern Pintail drake, several Green-winged Teal, and a gorgeous "Gray Ghost" (a male Northern Harrier) floating elegantly over an open field looking for unwary voles or moles or mice. An immature Bald Eagle landed in the same tree where Bernie and Maeve had seen one three days earlier. The Visitor Center at Dead Creek wasn't open but will be later in the year. It's well worth a visit! Sharon was prepared for anything. While she looked ahead, her mittens kept track of any bird activity happening behind her! There was more ice under the Champlain Bridge when Bernie and Maeve scouted out the area a few days before the GMC trip, and it acted as a corral, penning in literally thousands of birds. 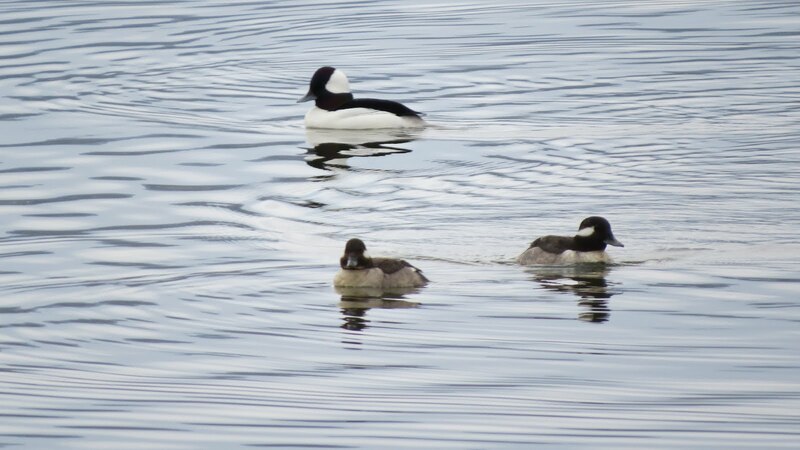 In addition to the species we saw with the group, Bernie and Maeve also relished the sight of a few hundred Snow Geese. Green Mountain Club's 14 regional sections host hundreds of outings every year. Go the Burlington Section website for mostly local expeditions and to the main club's calendar for information about outings all over the state and in New York, Massachusetts and New Hampshire. Almost every outing is free and open to everyone! A plug from Maeve, long-time GMC member and volunteer: Join this club! 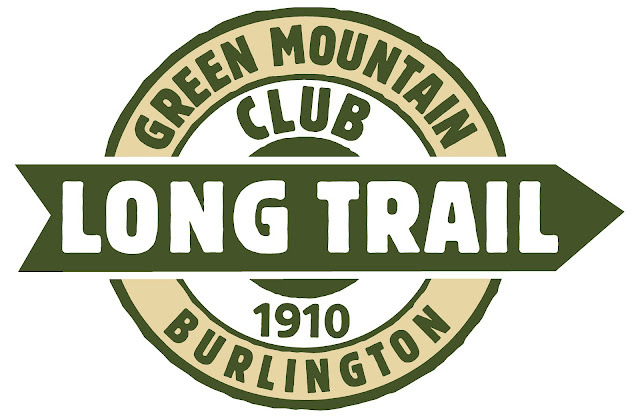 GMC built and maintains the nation's oldest long-distance hiking trail, the beautiful Long Trail from the Massachusetts border to the border with Canada. The club also maintains scores of side trails as well as shelters and tenting sites. During the summer, GMC places caretakers on heavy-use mountain tops and at high-use shelters to educate hikers about wilderness ethics and the protection of fragile habitats. Green Mountain Club is a national leader in forest conservation, helping to protect more than 25,000 acres of Vermont's woodlands and working with state agencies and nonprofits to manage the lands for both humans and wildlife. The club has pioneered many sustainable forestry practices and is internationally known for developing and using backcountry sanitation practices.